The primary requirement for admission to the Welcome House is a sincere desire to be sober and change one’s life. Complete abstinence from the use of alcohol or other mind-altering substances is required of all residents. Clients must be detoxed before admission. Welcome House does not have on-site medical facilities necessary for detox. AA/NA meetings, lay counseling sessions, care team, Welcome House University courses and active program participation is required. 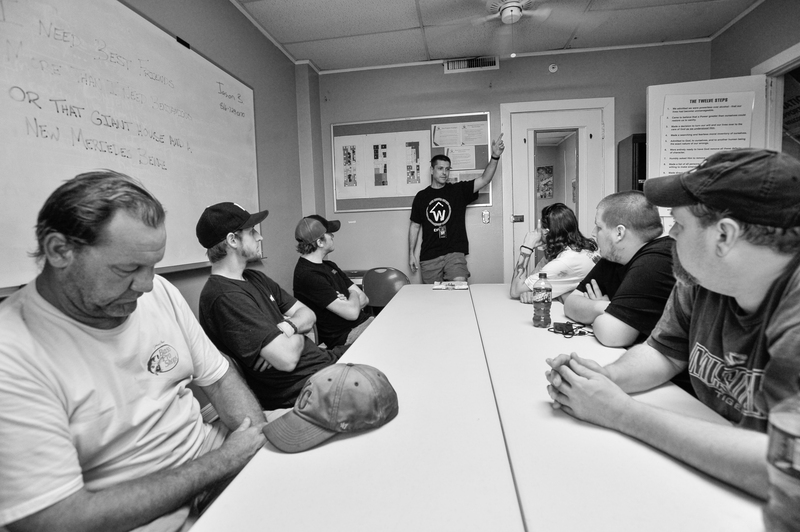 Residents of Welcome House are required to seek and maintain employment and participate in volunteer activities. Job search and networking assistance is available. Residents of Welcome House should plan to be in the program for 9 months. An extension of up to 3 additional months of residency is available by application and approval. Residents are not allowed to remain at Welcome House beyond 12 months.